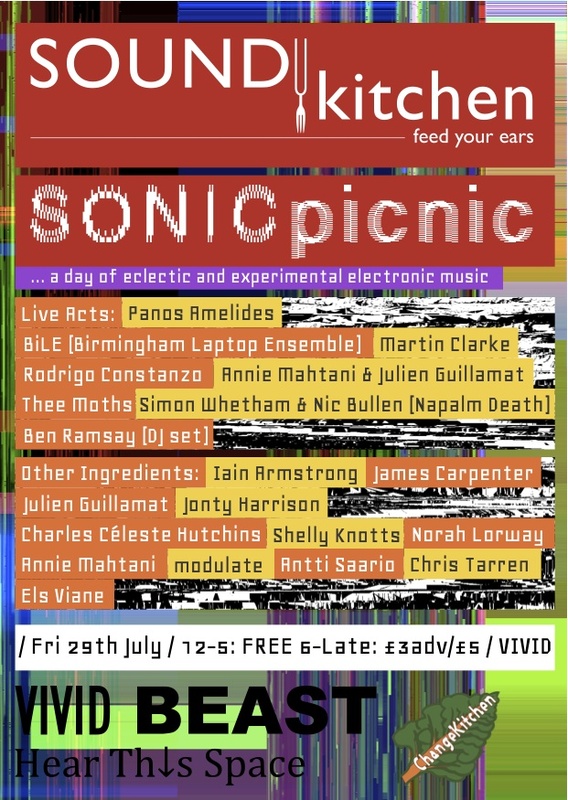 The next SOUNDkitchen gig is SONICpicnic on the 29th July at VIVID, Birmingham. We’re very excited about being in a new space and have an extended programme of performances, films, artist talks and food! The line up includes some of the SOUNDkitchen team, returning friends and exciting new acts. We have a mutli channel listening room with a 16 channel speaker tree and I’ve contributed a piece that will be spatialised in this space. 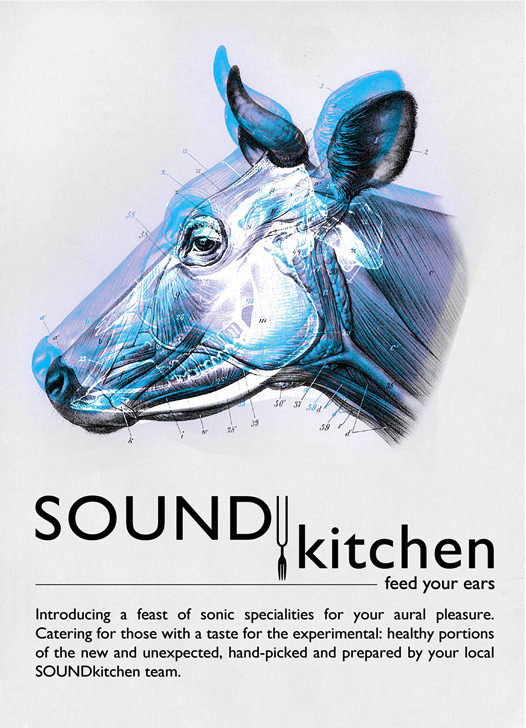 More info on the SOUNDkitchen website. 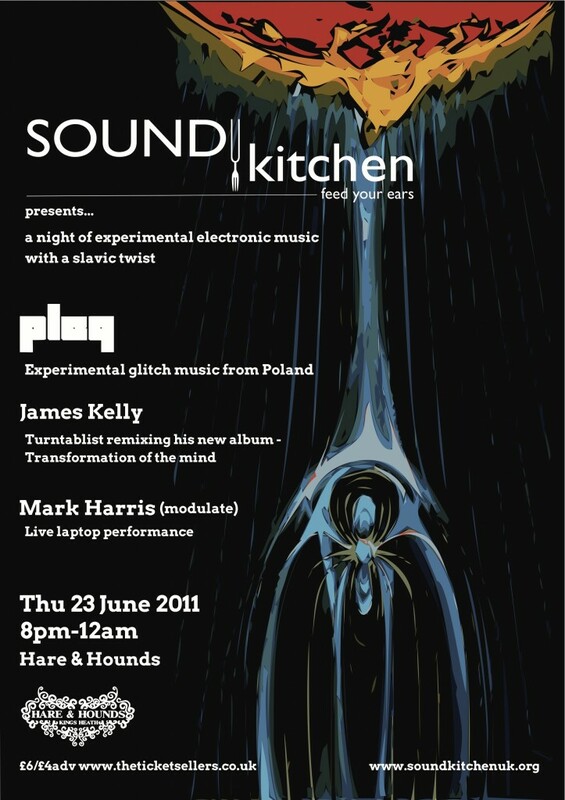 The next SOUNDkitchen event is happening this thursday 17th March at Hare & Hounds, Birmingham. 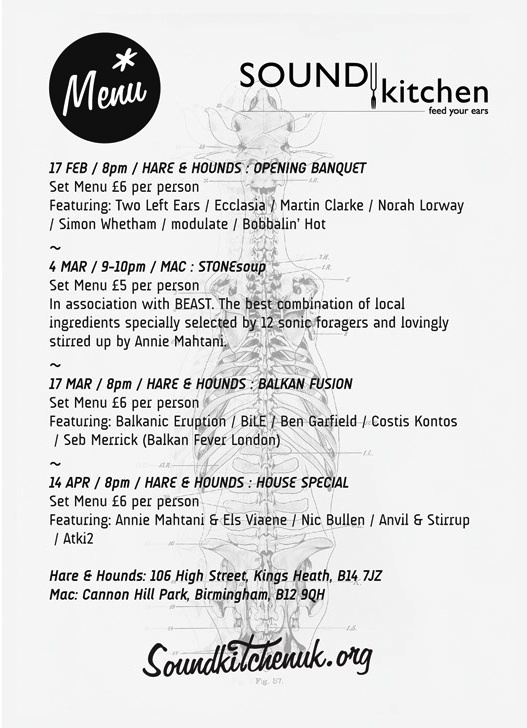 Featuring the first performance from BiLE (Birmingham Laptop Ensemble) and DJ Seb Merrick playing a mix of Balkan and electroacoustic music! Anvil & Stirrup’s ThousandUnfold has been selected for inclusion in an online jukebox as part of the Audiograft festival of sound art and contemporary music in Oxford this week. I’ve started doing some work with Get On The Radio. They are a team of experienced and enthusiastic creatives who have come together through a shared passion for creative education and the exceptional teaching and learning potential of radio broadcasting. They’re currently working in schools across the Midlands setting up pupil led radio stations. They have a great team that provide everything from technial advice, installation and training to setting up a school radio station with production teams for a variety of radio programmes. They have strong links with radio professionals and programme makers who can deliver specific masterclasses. I’m working with them as a producer, helping pupils to generate content for their shows such as theme tunes, jingles, features and sound effects. It’s a fantastic method for encouraging independent, cross-curricular learning in an exciting and creative way. I’ve recently joined SOUNDkitchen. 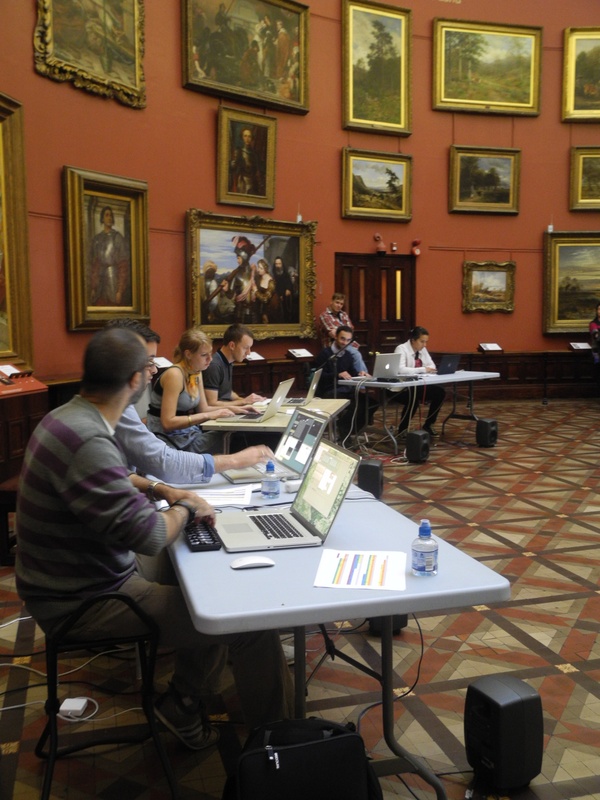 We are a collective of composers and sound artists with backgrounds in electroacoustic and experimental music. The organisation is the brainchild of Annie Mahtani, ex BEAST, and is dedicated to promoting the work of composers and sound artists working in the field of sound. We’re kicking off with a pilot series of gigs at the Hare & Hounds in Birmingham and one at mac (Midlands Arts Centre) over the coming months. We’ve been busy putting together a programme of emerging and more established electronic music acts from Birmingham and beyond, mixing up current and ex BEAST composers with the likes of modulate, Nic Bullen and Simon Whetham. I’ll be performing a live laptop set with Antti Saario as Anvil & Stirrup in the April gig and contributing to a new, collaborative composition for the gig at mac in March. Anvil & Stirrup’s ThousandUnfold has been selected for inclusion in SoundLAB VII part of the NMF – New Media Festival 2010, Cologne.